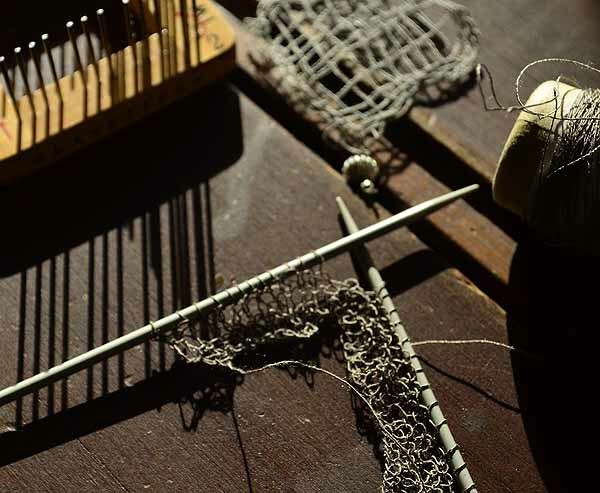 knitting and weaving with the Habu silk/stainless yarn. Love it! In the interest of full disclosure I may officially now have too much yarn. 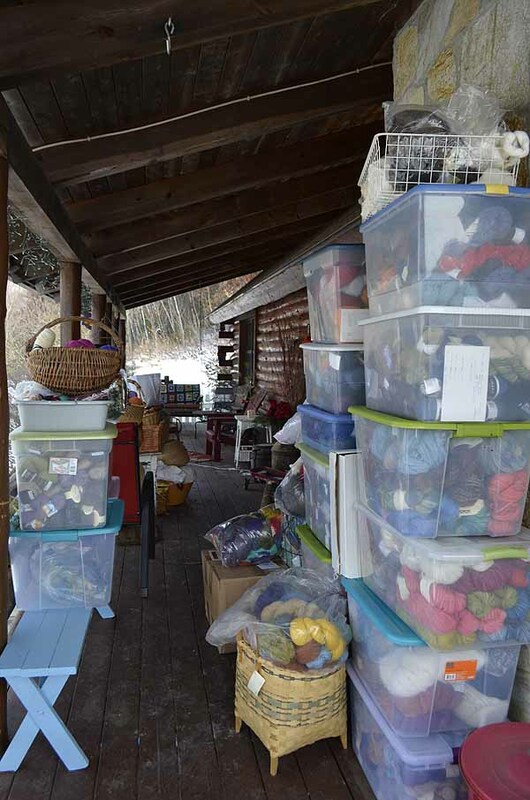 Shortly after the new year I, for the first time, took all (well almost; there is still some under the bed I think) of my fiber and yarn bins, baskets and bags and put it in big piles on the front porch to freeze. Partly because I already had lots of it out to inventory for my business and partly thinking it might be a good practice to do once a year to stop any moth invasions. But after running around in my jammies this morning picking up odd bits of fiber and yarn dangling off bushes and trellises, that escaped after a bin fell over in high winds, I am seriously rethinking ever doing this again. And then there is the memorable look on my dear hubbies face when he saw the stacks of bins that almost reached to porch ceiling. I have made a point of don’t ask, don’t tell as far as my yarn stash goes but there is no escaping it once you’ve seen it with your own eyes. Yikes, I must admit I was somewhat horrified myself. So for any fiber thieves out there, now would be a good time to visit my porch. So that is the out with the old part of this post. Now for in with the new. 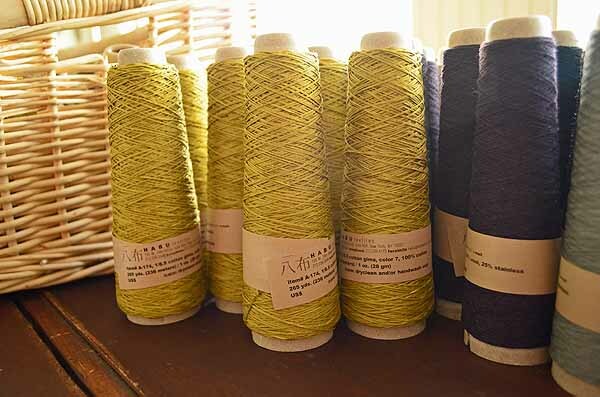 My wealth of fiber has not stopped me establishing a wholesale account with Habu Textiles as shown by the lovely box of coned yarns above. 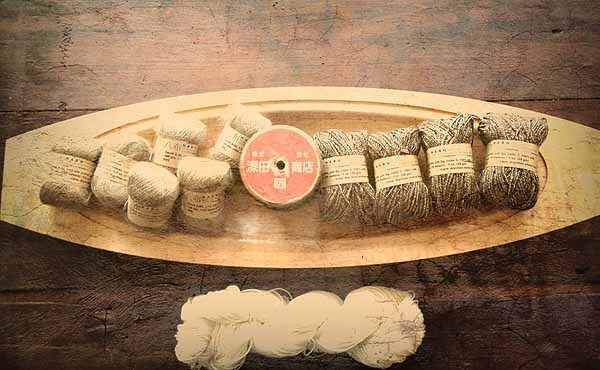 I have long admired the texture and quality of many of their yarns and am looking forward to weaving with them. I fully intend to sell these beautiful yarns at fiber fairs and maybe on etsy, if I get my act together. 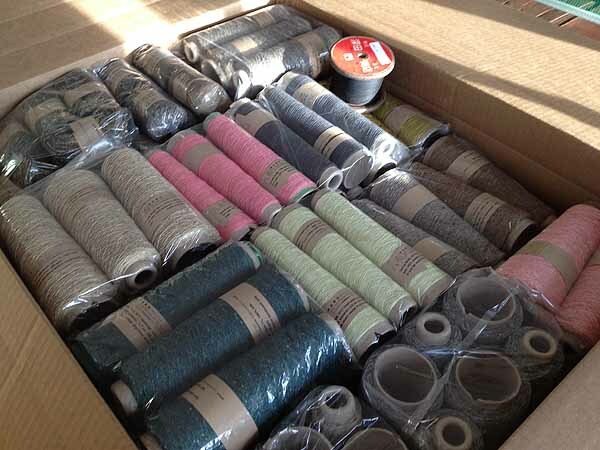 Maybe I can bribe my friend Barb into knitting some samples for me. Right now I have been playing with the silk/stainless yarn with knitting and the weavette loom, for earrings. I will post pics soon if any of these turn out. So all in all an interesting start to a new year. I hope you too are finding inspiration. Wish me luck in restashing my stash. Oh, what a lovely view it is, too! Yum, yum!! 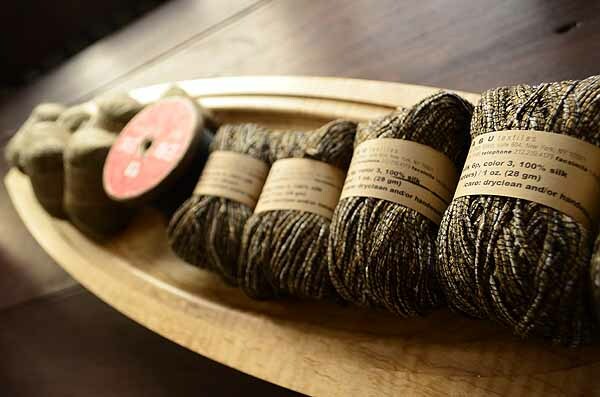 As soon as I'm well I'm coming over to touch, feel, and admire all those lovely Habu yarns. I definitely need some (don't ask, don't tell applies here too).